and their children’s health and well being. These two sisters, on a mission, saving lives by spreading the word and educating the public on the dangers of addiction via awareness throughout the city and beyond. 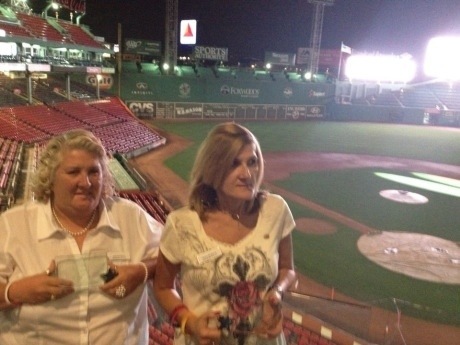 The two women were also recently recognized at the Fenway Park EMC Club and awarded the Shinning Star Award from the “Accelerated Cure Project” (ACP) for their MS Fundraiser’s to benefit MS research. The Medeiros sister’s have run the “Annual Edmund Mederios Foundation Fundraiser”and donates its proceeds to benefit research for MS for the past 14 years. We here at the Somerville News Weekly salute you both for everything that you do to make Somerville a better place.